Keep it simple with this credit card and ID card holder. 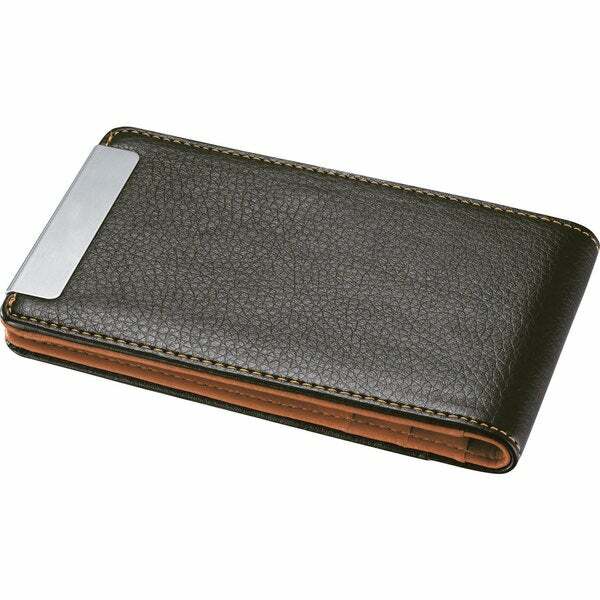 This wallet conveniently features three (3) card slots and one (1) ID card slot. BUYER BEWARE: THIS WALLET IS *** It may be beautiful, but the quality is not there. The orange inside started to rip and flake after 1 credit card was placed into the slot. More rips as the card was removed. After 10 days, the top slot started to rip at the seams and the next 2 slots ripped at the bottom. It's now completely useless. And it wasn't like it was being pulled out constantly as 90% of purchases are done through my phone.